Congratulations to our outstanding local high school students who competed in the 2018 AWQ National Competition in Washington, D.C. and placed 7th in the nation! To help next year’s team with their expenses, the World Affairs Council of Austin has an Amazon Smile account. Shop through this Amazon Smile link and a percentage of sales proceeds will be donated to a fund for the winning team. The next AWQ competition in Austin will take place on Saturday February 23rd from 9:00 am – 12:00 pm on the University of Texas campus. What is the Academic WorldQuest? One of the greatest challenges facing our nation and schools across the country is preparing our youth for the interconnected world of the 21st century. America’s ability to face the economic and security challenges of the 21st century, and seize new opportunities is dependent on an educated and informed workforce. Academic WorldQuest™ is a unique opportunity to expose our youth to the world outside our borders and prepare them for the challenges and the opportunities of the 21st Century. Academic WorldQuest™ is a team competition testing competitors’ knowledge of international affairs, geography, history, and culture. Participants come from high schools that collaborate with World Affairs Councils throughout the USA. Academic WorldQuest™ prepares the next generation of American decision makers and opinion leaders to thrive in tomorrow’s world. Our national interests are deeply intertwined with those of the greater global community. This new reality requires that we close the gap in students’ knowledge about global affairs and restore American excellence in science and math. Research has exposed some troubling signs. American science and math students are performing well below students in other developed nations. American students are also lacking in basic knowledge of US history, world history, international geography and global issues. The mission of Academic WorldQuest™ is to help close this gap. Approximately 4,000 high school students across the country participate in local competitions hosted by over 40 local World Affairs Councils in 26 states. Local teams are provided a study guide with detailed resources on each of the categories. The study guide helps students and teachers as they prepare for the regional and national competitions. All questions for the competitions are drawn from the resources in the study guide. 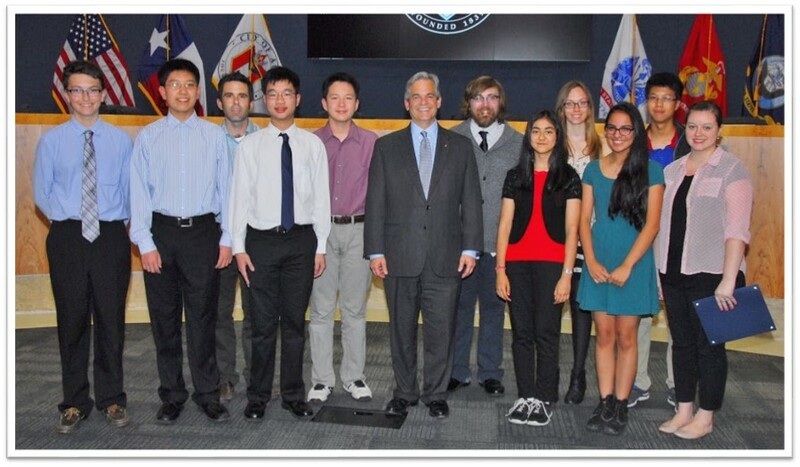 The victorious regional teams are invited to represent their high school, city, and local council at the National Academic WorldQuest™ Competition held in Washington, DC. Every Spring, this special weekend in the nation’s capitol includes substantive programming designed to enhance each participant’s learning experience. To make a tax-deductible contribution to the World Affairs Council of Austin’s regional competition, click on the DONATE button on the top of this page.